It’s Scholarship Time Once Again! The Albany Society for the Advancement of Philanthropy (ASAP) has provided more than $7500 in college scholarships to local area high school seniors that will be attending local Albany area colleges and universities. Seniors who wish to apply for this scholarship must complete a 500 word essay on “What I do to encourage others,” based on their achievements, commitments, and creativity. The scholarship for 2017 will be one (1) award of $1000. This year, the deadline for the essay is Tuesday, May 16th, 2017. Students – please make sure to include your contact information, the school you currentlyattend, and the school that you plan to attend, along with your essay. Please send the completed essay via either email (preferred) to info@albanysociety.org or mail to ASAP, PO Box 2012, Albany, New York 12220 by Tuesday, May 16th, 2017. The scholarship will be awarded in early July of this year. Good luck! 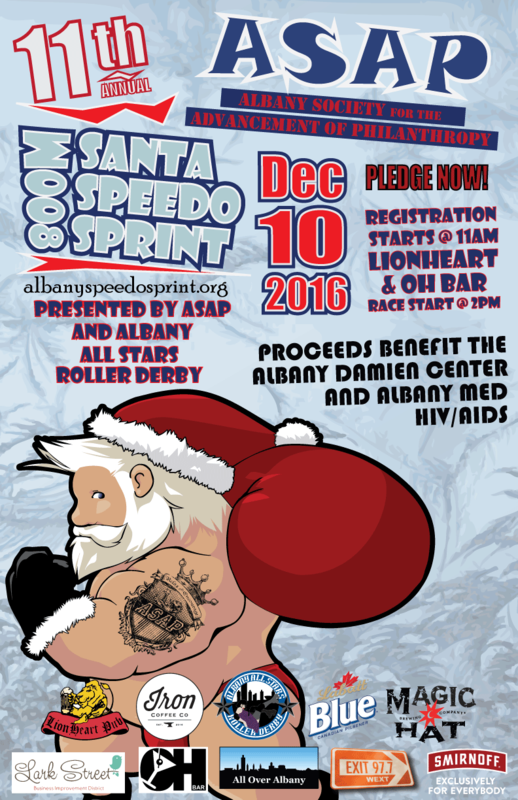 Who: The Albany Society for the Advancement of Philanthropy (ASAP), in association with the Albany All-Star Roller Derby. What: 800 Meter run on Lark Street to raise money for Albany Damien Center and the HIV/AIDS program at Albany Medical Center. Where: Registration as listed above, Race starts at Dunkin Donuts on Lark. How: Register online or day of the race and pay your minimum donation of $25, although higher donations are encouraged in the spirit of the event and the Holidays. Then run…pretty simple. Do I receive anything after registering? – You do! We have t-shirts in limited quantities for each size. We cannot guarantee a shirt for all runners, so get there and register early before your size is gone! We also have other fun swag to help you enjoy the sprint, that differs each year. Can I come to people-watch and still donate? – Of course. Use the Eventbrite link online or stop by the Lionheart or Oh Bar and we can take you donations at the registration table. We’re less than a month away until the 2016 Sprint! If you haven’t done so already, you can register to run or just make a donation using our Eventbrite link below of links on our Facebook Pages. 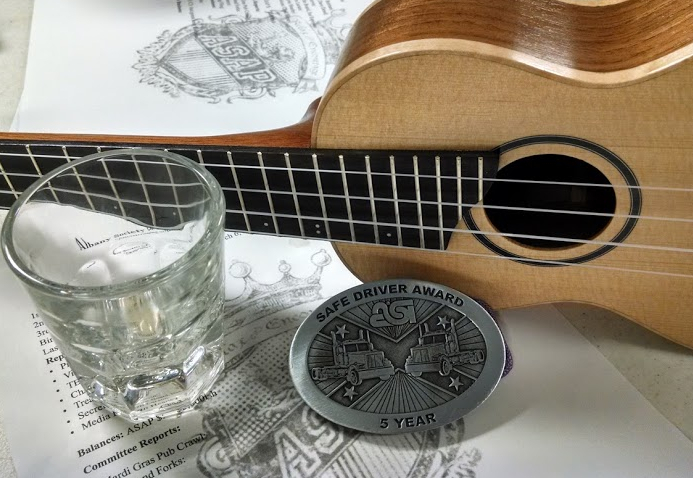 Congrats to our Member of the Decade! Thank you to Jim Larson for all that you do, proud to have you as a member of our team! Check out the MOTD video, some NSFW language within. Bring your appetite! 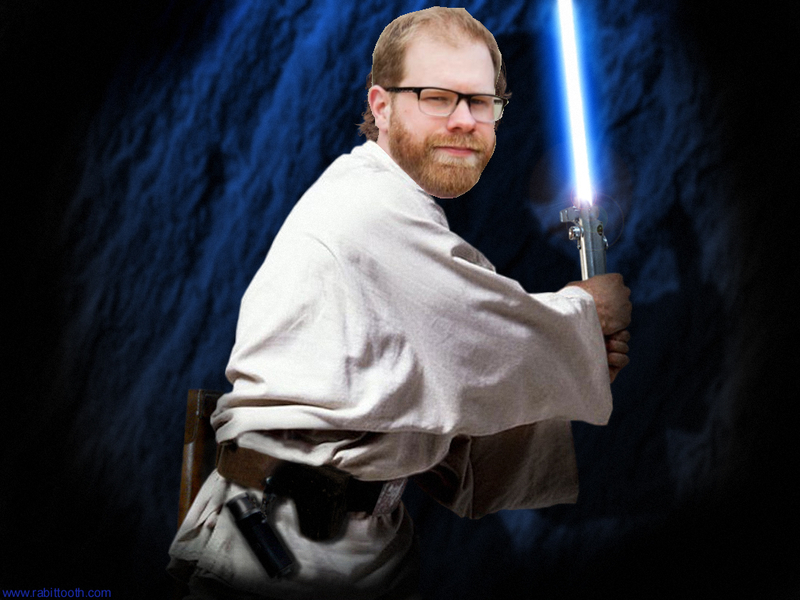 FOMACOB is back! This is one of our favorite days of the year! $25 for all you can eat grilled and smoked goodness, with none of those vegetables or starches to get in your way. 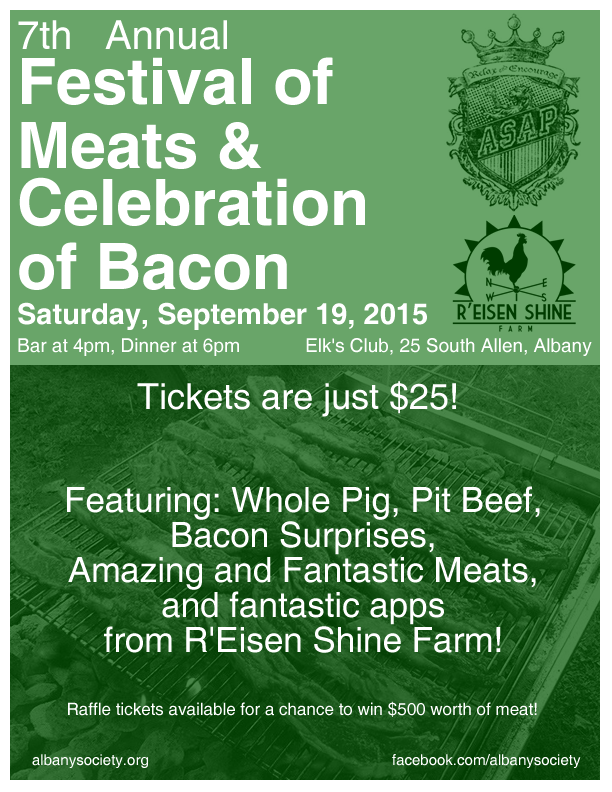 Featuring: Whole Pig, Pit Beef, Bacon Surprises, Amazing and Fantastic Meats, and fantastic apps from R’Eisen Shine Farm! Raffle tickets available for a chance to win $500 worth of meat and a Thanksgiving turkey from R’Eisen Shine Farm! 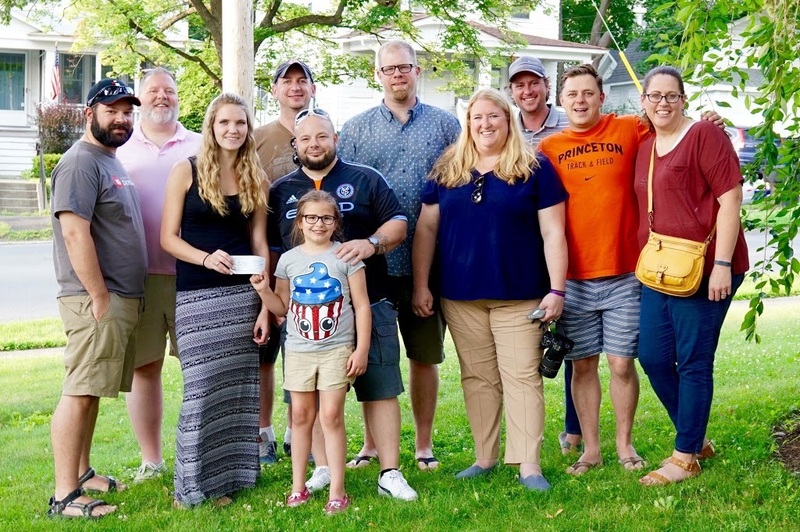 Tonight we had a little BBQ to kick off the July 4th weekend right and presented Ally Firmbach with her $1,000 check for winning our scholarship contest. Congrats to Ally on winning and graduating, and all the best in the future! We received some great essay submissions this year which made it hard to decide who would be declared the winner. We would like to extend an early congrats on your impending graduation and best wishes in the future to all of those who submitted. 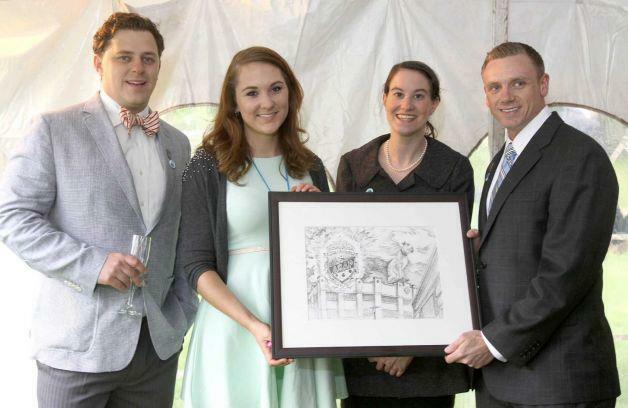 The winner of the 2015 ASAP Scholarship is… Ally Firmbach! Congratulations, we will be contacting you soon to setup a time to award you your $1,000 prize! Thank you to all that submitted an essay, we will be announcing our winner in early June. Good luck! A reminder that essays are due Tuesday, May 12th. We have a few submissions already, don’t miss your chance to score a cool $1,000! Also cool…Simone, Cameron, Ferris, and a 1968 Ferrari 250 GT California Spyder. The Albany Society for the Advancement of Philanthropy (ASAP) has provided more than $5600 in college scholarships to local area high school seniors in the last eight years that will be attending local Albany area colleges and universities. Seniors who wish to apply for this scholarship must complete a 500 word essay based on their achievements, commitments, and creativity. The scholarship for 2015 will be one (1) award of $1000. This year, the deadline for the essay is Tuesday, May 12, 2015. Students: please make sure to include your contact information, the school you currently attend, and the school that you plan to attend, along with your essay. Please send the completed essay via either email (preferred) to info@albanysociety.org or mail to ASAP, PO Box 2012, Albany, New York 12220 by Tuesday, May 12, 2015. Another meeting, another meetup with a great organization that we have partnered with on a recent event. 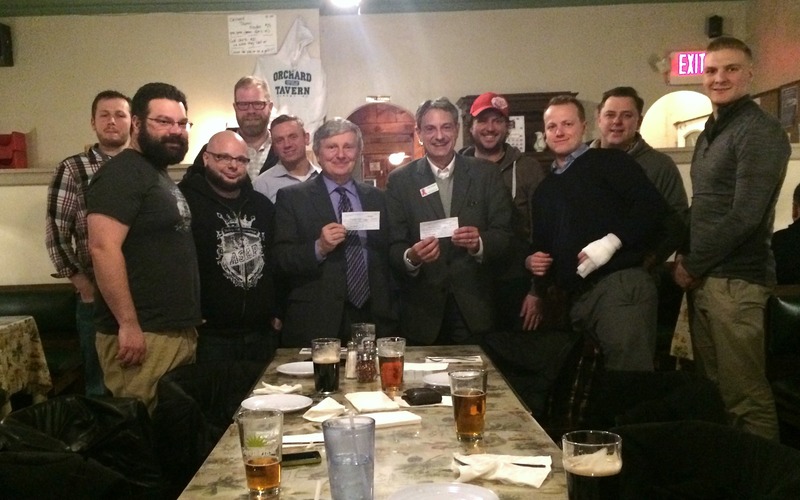 Last night we presented the proceeds check from the Magic Hat Mardi Gras Pub Crawl to our friends at Capital Roots, and then they joined our meeting and waxed philanthropic. 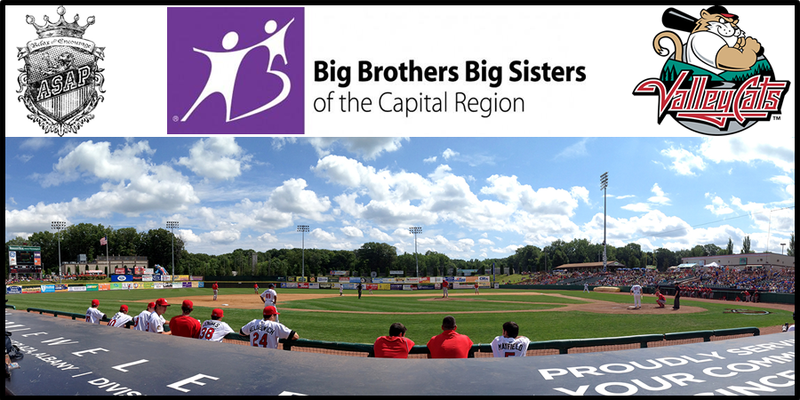 Check out their website and Facebook page below to see the awesome services they provide for the Capital District Area. Yup, we are still on tour and looking to bring in new members. We’ve had a few new faces show up at the last two meetings, so don’t be afraid to stop in. Meeting is at 7pm at McGeary’s where we will be proudly presenting a check to Capital Roots with the proceeds from the Mardi Gras event. The Cork and Forks event was a success, thanks to all who donated items, came to event, or otherwise helped in any way. People like you make the world a better place. We’ll have some event announcements coming in the near future, keep it peeled here for more updates. Corks & Forks is this Saturday! This one means a lot to us in ASAP. Please come out to 677 Prime this Saturday (Mar. 28th) and enjoy some top-drawer food and wine, and also bid on any of the great items up for grabs in the silent auction. All to support the Huntington’s Disease Society of America. 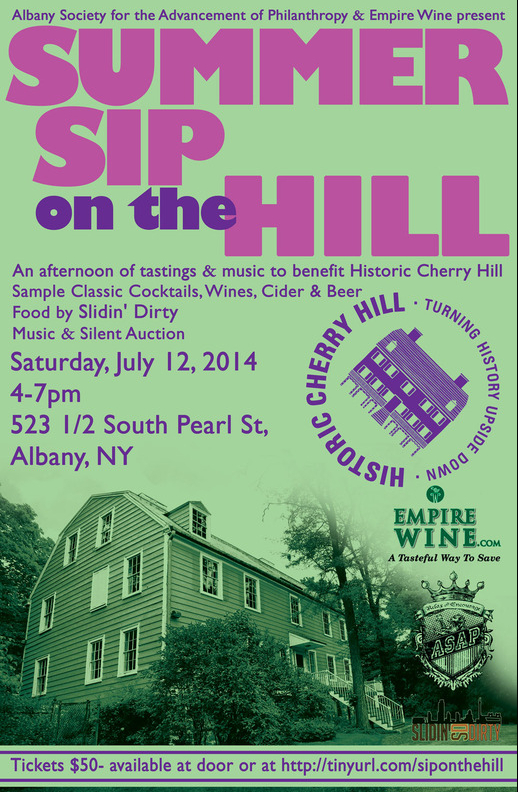 Tickets available only via http://www.albanycorksandforks.com/. More info on the aforementioned site and on Facebook http://www.facebook.com/events/1524926504438484/. It’s Time for Our 2015 ASAP College Scholarship Contest! 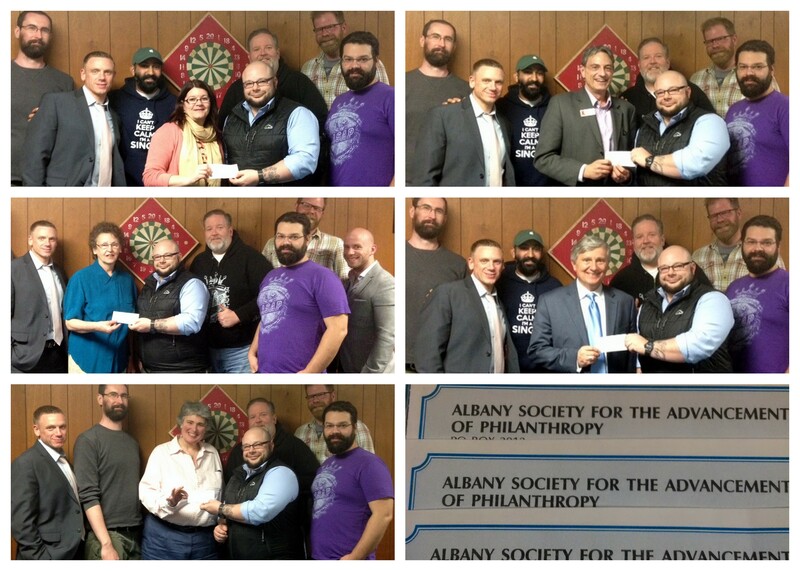 Last night we were able to present checks to the Albany Damien Center and Albany Medical Center with their halves of the money raised from the 2014 Santa Speedo Sprint. 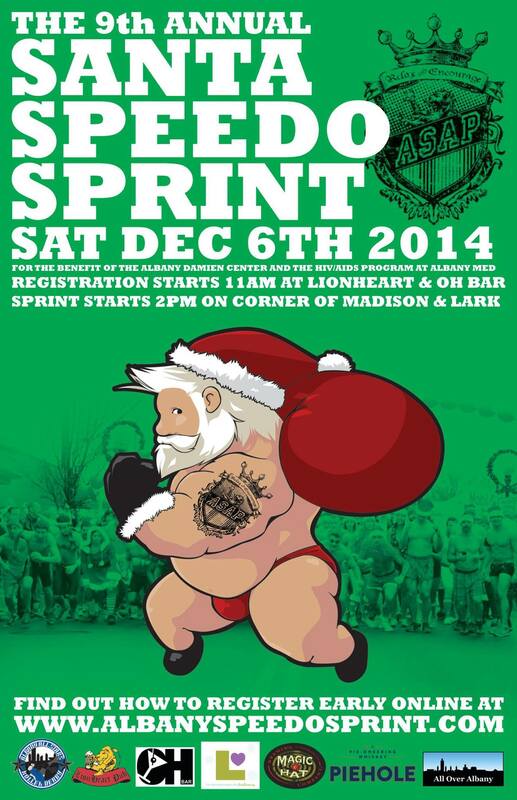 Thanks to all who donated, we are already excited for the 2015 Sprint! We also had a few new faces that came out and joined our meeting. We are trying something new with having our meetings at different locations, and will be posting where our next meeting will be soon. Hope to see you there! If you know anyone that may be interested in us, joining a fun non-profit, or just helping people out in general, please send them a link to this page, tag them in FB, etc. We’re looking to grow our group and meet new awesome people. 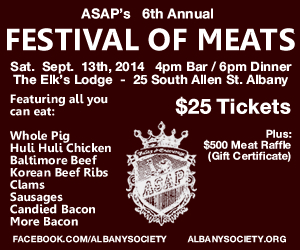 Hit up info@albanysociety.org with any questions. ASAP (Albany Society for the Advancement of Philanthropy, a 501(c)(3) non-profit organization) is currently wrapping up our 10th year of existence, and what a ride it’s been so far. 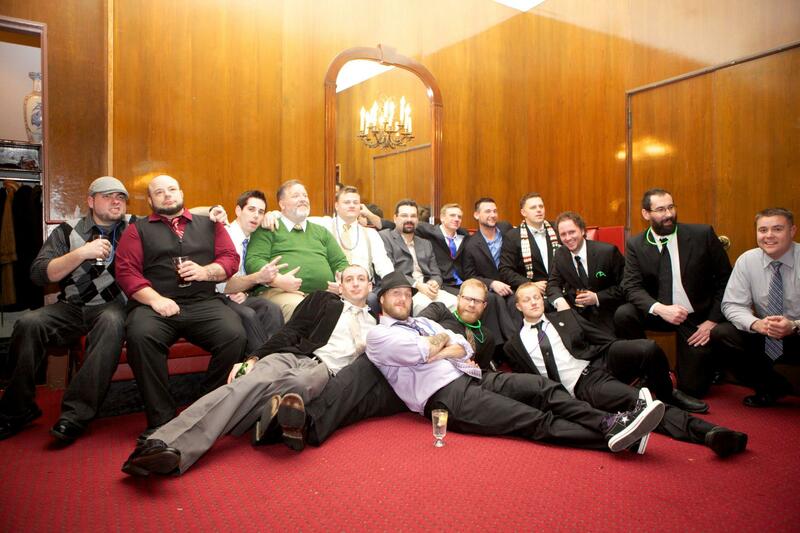 In the past 10 years our members have grown older, more handsome, more classy, and of course more awesome. Many of us have married, had kids, become business owners, moved away for career opportunities, but most of all, we’ve had great times hosting events to raise money for local charities while keeping it fun and awesome. – Networking. We have members in all types of career fields, sports, clubs, etc. who probably know someone that can help you with that thing that you need help with. – College Student? Having a non-profit group on your resume always looks good. That’s a short explanation about who we are and what we do. 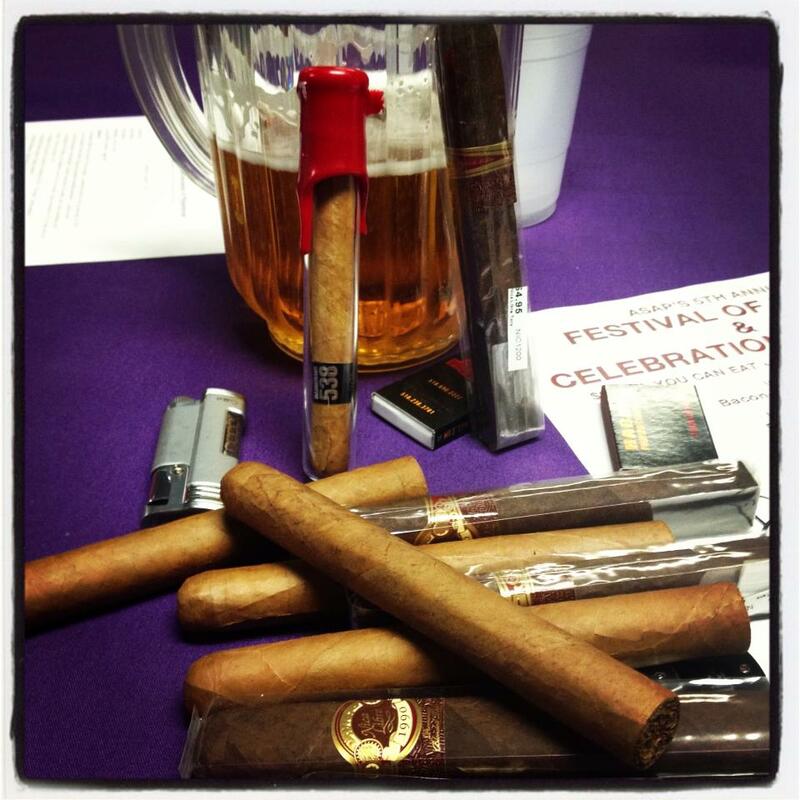 We encourage you and some of your Buds to stop by one of our monthly meetings to find out more, see if you would like to join our group, and have a few beers. Meetings are currently held the 1st Thursday of the month at 7:30/8pm’ish at the location below. If you haven any questions you can email info@albanysocity.org. Hope to see you there! We are once again co-sponsoring this event with Magic Hat and Capital Roots. Always a fun time and there is some big $$ and other great prizes up for grabs! 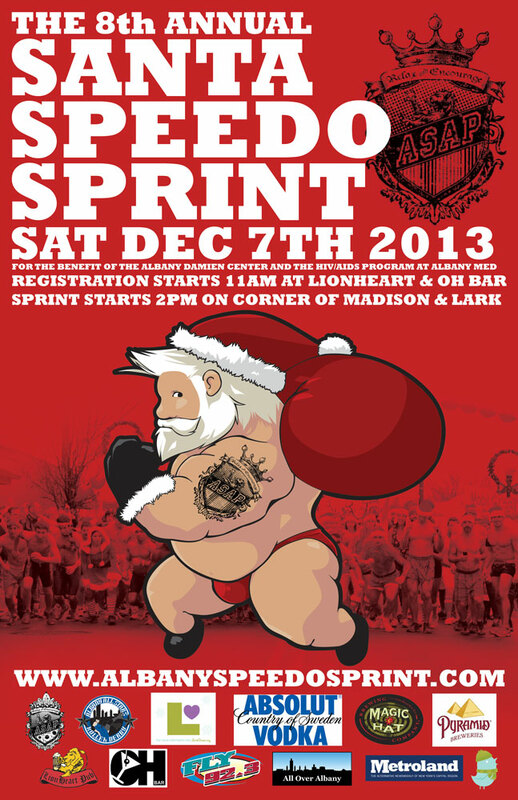 This Saturday is the Santa Speedo Sprint!! Our biggest event of the year is back! We have to help save Cherry Hill! If you have been following the news, Historic Cherry Hill, one of Albany’s beautiful historic landmark Mansion Museums, is in dire financial peril. As Citizens of Albany and the greater Capital Region, we must take action to preserve this house! The Tuesday Special was wicked successful and now we are giving a Summer Sip Special for tickets! 2 tickets for $75 all week long; single tickets are $38! Save money, have fun?!? Sounds like Empire Wine and ASAP are bringing it! Actually, it’s Winner, Winner, $1,000 Scholarship…but that doesn’t flow as well. We would like to send out a big congrats to Brady Scott for winning this year’s ASAP Scholarship! We will be meeting up with Brady to personally congratulate him for a great essay and the work he is doing to help his fellow man, and to hand him $1,000 towards his Freshman year tuition. Deadline for essay submissions is tomorrow. $1,000 is up for grabs towards your Freshman year at an area college! 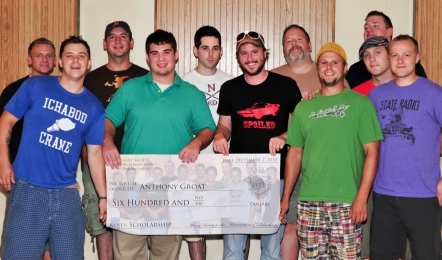 Plus you get your picture taken with Stately Gentlemen of ASAP handing you a big-boy check…win-win-win. Send us an essay and you could be selected to receive $1,000 towards your Freshman year at a local college! We were happy to deliver checks to our Friends at the EBA, Damien Center, Albany Med HIV/AIDS Program, Historic Cherry Hill and the HDSA last night at our monthly meeting. Thanks to all that participated and/or donated at our events! Congrats to the New 2014 Board of Directors! 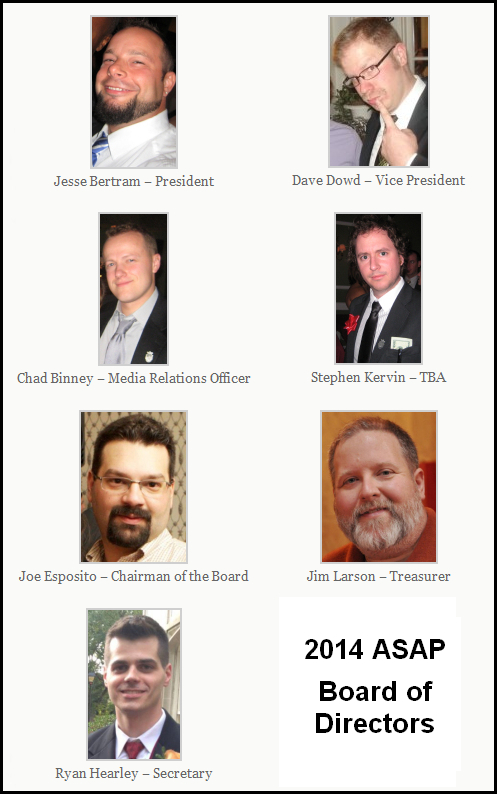 Please help use congratulate the Gentlemen who were nominated to the 2014 Board or Directors. We hope you are looking forward to another year Relaxing, Encouraging, and striving for Excellence in Awesomeness with us and the ASAP Daisies. New members are always welcome. Check out our Facebook page for times and dates of our meetings and events. Check out the latest Metroland (http://metroland.net/2013/12/18/local-heroes-2013/) where there is a small piece on us in the Local Heroes section. Thanks to Ann for choosing our group and for having us share a page with a NY Senator… who knows, someday there may be a Gray-Tie Gala at the White-House! It’s easy to do, just click the button below! Also, check the Flikr link below to see some photos from years past. This Saturday, Fall Ball ’13 !! Just finished up our Member of the Year video, come hang with us on Saturday night to check it out and have some fun. All the details and online ticketing are in the links below. Pre-Registrations and Tickets Now Available! To make life a little easier for everyone, we you now have the option of pre-registering and buying tickets before our events. Head over to https://www.eventbrite.com/org/4633151615 to get your tickets now! Have you RSVP’d on the Facebook event page yet (http://www.facebook.com/events/139407089587836/)? 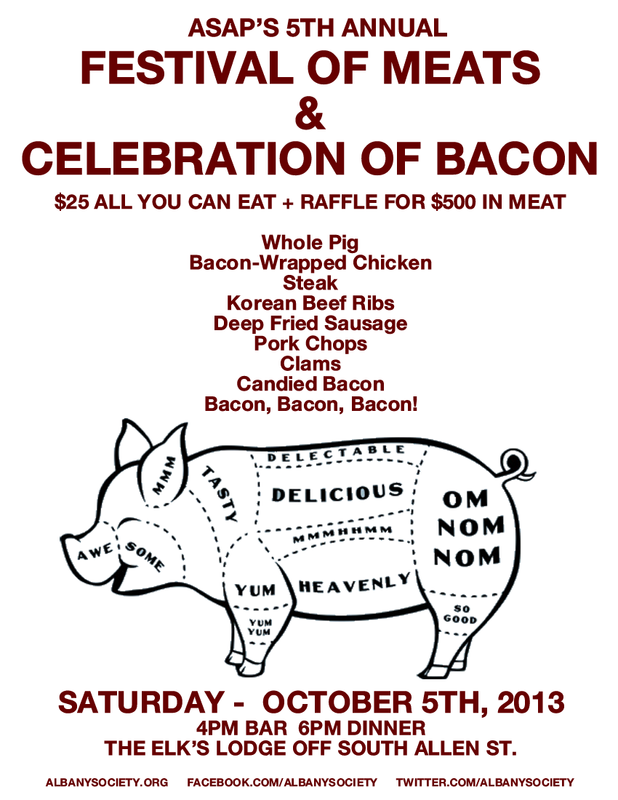 Join us on Saturday October 5th at The Elk’s Club off South Allen St. in Albany for all you can eat meat and bacon! Bar opens at 4pm, Dinner served at 6pm. Check the flyer and RSVP on Facebook at https://www.facebook.com/events/465718106846459/. Conrgrats to our ’13 Scholarship Winner!! 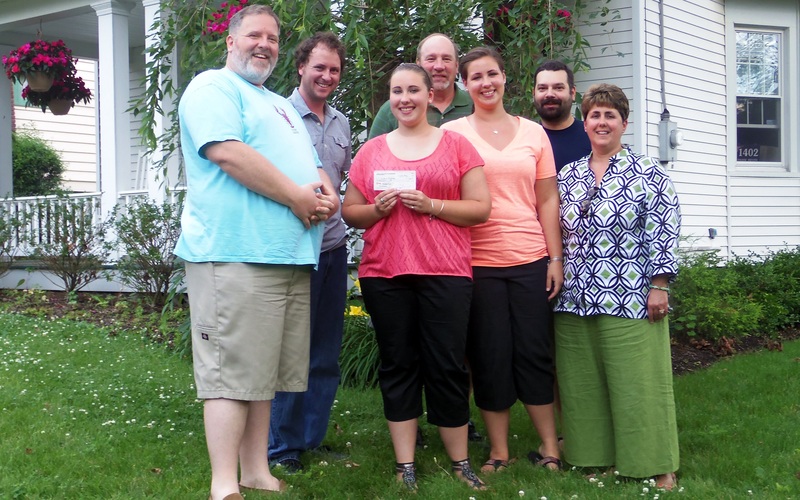 A few of our finest ASAP members were finally able to present our ’13 Scholarship winner Kristina Fletcher with her $1,000 check. We would like to wish Kristina much luck in her Freshman year of college and beyond! The ASAP 2013 Spring Fling is Next Saturday! It’s time again to climb aboard the Dutch Apple II and cruise the mighty Hudson! This year is just $15 to get on the boat with a cash bar available. Tunes, high-fives, and all around awesomeness to be provided by us. An after party is in the works, we’ll update you here when we finalize it. Tickets are available on the Dutch Apple website or by phone (not through ASAP as in the past). Tomorrow is the day, do you have your ticket?! If not there a few left available for purchase. 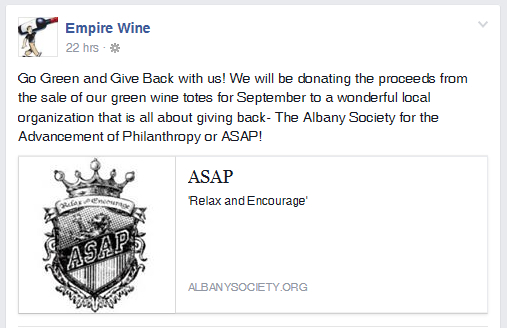 ASAP is so proud to be involved with our good friends at Empire Wine and the Huntington’s Disease Society of America. Mark your calendars for May 4th! 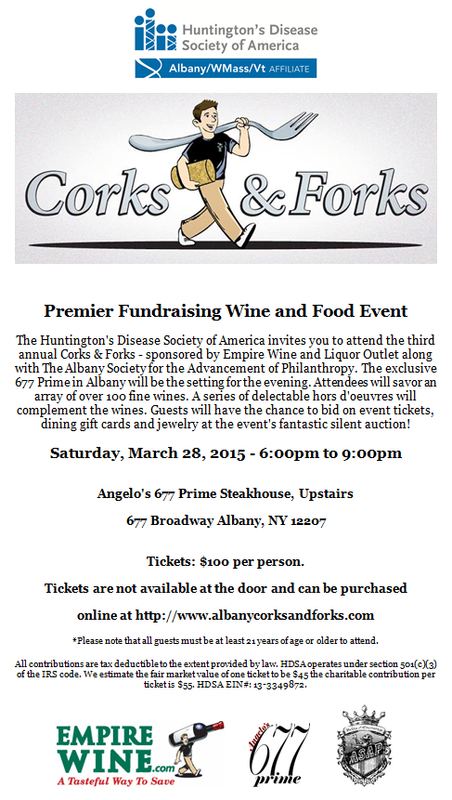 The Huntington’s Disease Society of America invites you to attend Corks & Forks – sponsored by Empire Wine and Liquor Outlet along with the Albany Society for the Advancement of Philanthropy. Attendees will savor an array of over 100 fine wines, including selections from Caymus, Insignia and Duckhorn. A series of delectable hors d’oeuvres will complement the wines. Guests will have the chance to bid on event tickets, dining gift cards and jewelry at the event’s fantastic silent auction! Purchase Tickets: https://www.hdsa.org/events/11889/register.html or 518-426-3470 Tickets are not available at the door. *Please note that all guests must be at least 21 years of age to attend. The Albany Society for the Advancement of Philanthropy (ASAP) has given out more than $3600 in the last six years to graduating seniors that are attending local Albany area colleges and universities. Seniors who wish to apply for this scholarship must complete a 500 word essay based on their achievements, commitments, and creativity. One scholarship is available each year. This year, the deadline for the essay is Tuesday, May 14, 2013. The scholarship this year will be one (1) award of $1000. Students: please make sure to include your contact information and the school that you plan to attend on your essay. Please send the completed essay via either email (preferred) to info@albanysociety.org or mail to ASAP, PO Box 2012, Albany, New York12220 by Tuesday, May 14, 2013. 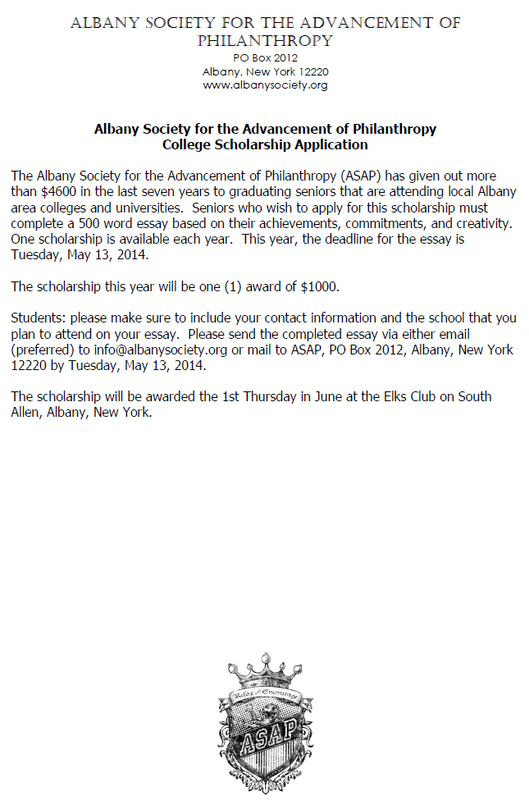 The scholarship will be awarded the 1st Thursday in June at the Elks Club on South Allen, Albany, New York. 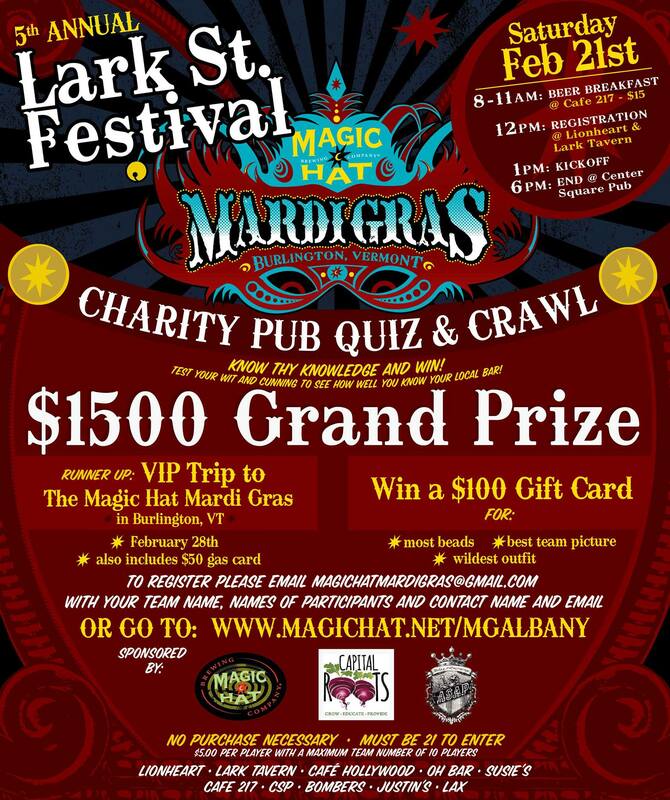 Runner-Up receives a VIP trip to Mardi Gras in Burlington, VT! The big day is finally here, it’s time for some epic fun for a great cause. We’re only a few weeks away!! 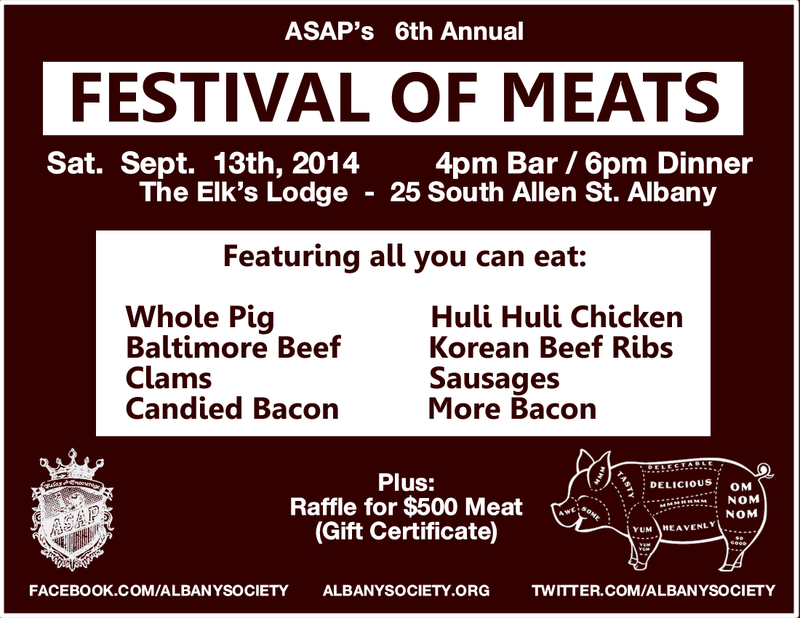 This is ASAP’s time of the year to shine, the Festival of Meats and Bacon was a great success, please be sure to RSVP to our upcoming events the Fall Ball (https://www.facebook.com/events/117791548366842/) and the 7th Annual Santa Speedo Sprint (https://www.facebook.com/events/385937094807332/). 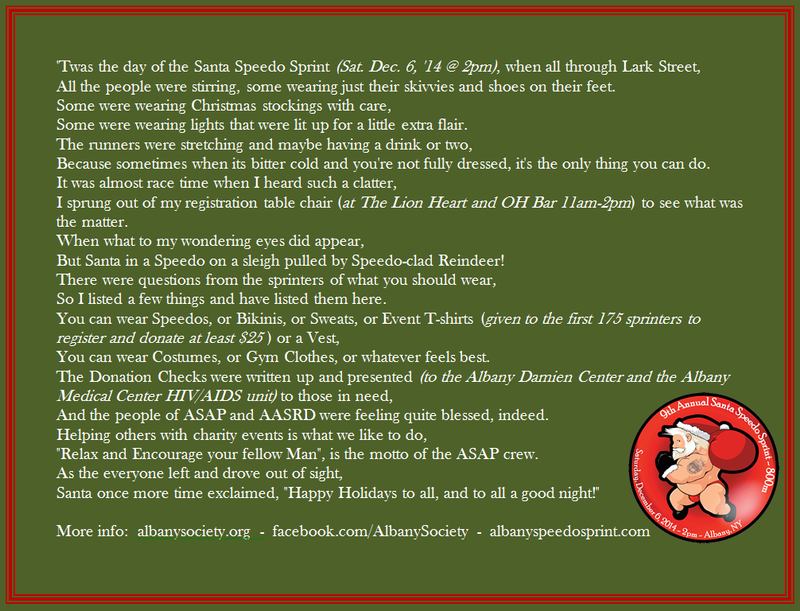 We also have a First Giving Donation link at our official Speedo Sprint Site (http://albanyspeedosprint.com/). Our goal is to raise $25,000 this year, so please direct your friends/families/coworkers/strangers to the site and help us meet our goal! On a final note, last night we elected our Board for the upcoming year. Congrats to the newly elected 2013 Board Members! Thanks to all who have supported and will support our various events this year, enjoy the Holiday Season!